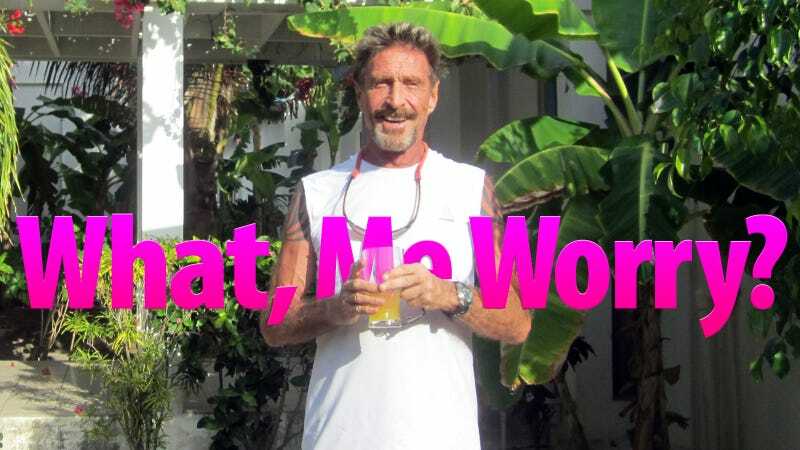 John McAfee, the antivirus software kingpin who's wanted for murder but claims he's innocent, is on the run from the police in Belize right now. If he gets caught, he thinks he'll be killed. Even with those dangerous stakes, McAfee talked to Wired to describe the past two days on the lam. The audio of the interview is below and it's as insane as you'd expect it to be. Right now he's hiding under cars and sleeping on a mattress infested with lice in a secret house in Belize. McAfee think that "it's just a matter of time" for the police to track him down. Listen below.